If you are reading this it means we have all survived Christmas. Now, we head onto the New Year’s parties and of course, the important eating of the black-eyed peas here in the South. I have made one resolution for 2014, that being not to make any resolutions. Resolution is defined in the dictionary as firm determination. I’m all about goals, whether they be short or long term, but I find that resolutions just lead to me feeling like a failure usually within the first hours of the New Year because I’m going to eat something that blows the weight-loss strategy/plan/regime right out of the water and it is all downhill from there. So, I’m going to set some “intentions” for myself since I then can go after what I want to get done. But if the intentions go belly-up I feel that my unfruitful intentions are better for my psyche than not keeping to my firm determination. I guess it all come down to the lexical semantics or however you want to slice it that causes the least amount of collateral damage to our aspirations. Today let’s motivate ourselves to get stuff done. But it’s not the end of the world if we are not perfect in getting there or take a detour along the way or heck, even change the whole journey enroute. While the New Year is about “new”, the truth is I can’t get the year right for a good 3 months so, set some good intentions for yourself and remember you have 12 full months before you to get the job done…or not. Happy New Year to all!! Wish you a Happy New Year 2014 from Spaceio.com !!! Thank you so much. 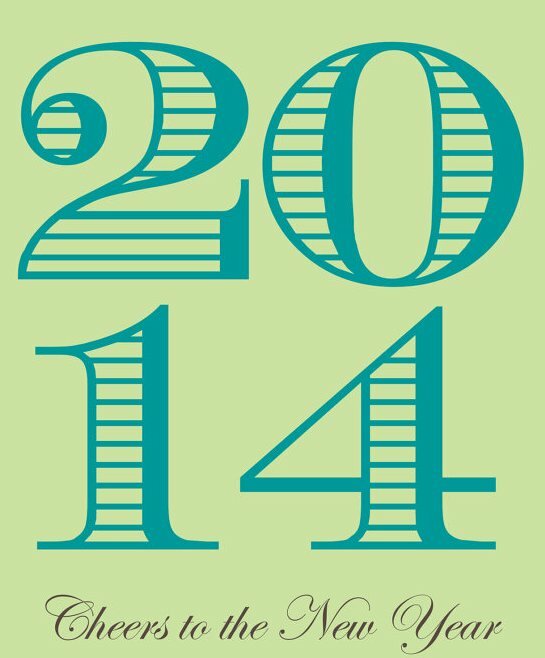 Wishing you all the best in 2014!